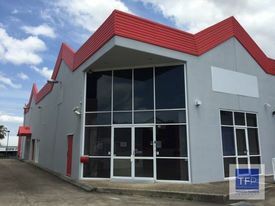 177 Commercial Real Estate & Properties in Springwood are listed in 6 categories. We have 132 OfficesSale & Lease , 26 Retail ShopsSale & Lease , 18 Medical and Consulting PropertiesSale & Lease , 5 Industrial Warehouses Sale & Lease , 1 ShowroomsSale & Lease and 1 Development LandsSale & Lease . 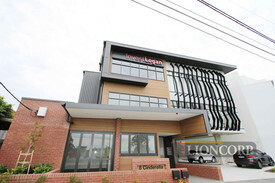 200 SQM vacancy has stylish finishes & exceptional lighting throughout Spacious reception and waiting area 3 individual offices Storage/stationary room Open plan work space Kitchen area and a separate server room Lease this vacancy with the current configuration or make the changes to suit your business Take advantage of our signage opportunities, generous customer and staff parking and convenient location in Springwood's business precinct Outgoings included in rental For more information please contact Tony Morena. Approximate If Applicable DISCLAIMER: Subject to the provisions of the Trade Practices Act 1974 and subject to any other non excludable statutory provisions. Ellison Specialised Properties Pty Ltd for themselves and for the Vendors of this property for whom they act give notice that: (i) all information given in relation to this property whether contained in this document or given orally, is given without responsibility; (ii) intending purchasers should satisfy themselves as to the truth or accuracy of all information given by their own inspections, searches, enquiries, advices or as is otherwise necessary; (iii) no person in the employment of Ellison Specialised Properties Pty Ltd has any authority to make or give any representation or warranty whether in relation to this property. First Rate Location! 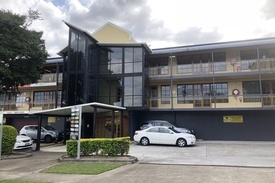 - Ground Floor Office Or Retail Site Priced at $320 per metre ..
Investment Sale - Government Tenant Secured $312,812 at firm 8% Net R..
Immaculate fully fitted office awaits Approx. 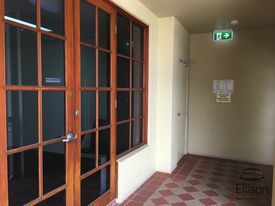 49m2 with own toilet facility 2 enclosed office, storage & reception area Carpeted & air conditioned trhoughout Good nature lighting Only short stroll to Woolworth & Coles So handy and convenient. Inspect today with exclusive agent! 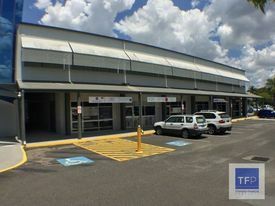 Springwood is located approximately 21kms from Brisbane CBD and provides easy access to the M1/ Pacific Highway in both north and south directions. Springwood is a significant activity centre in the region, with a major bus station that provides ample parking for commuters nearby. 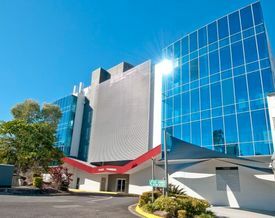 The ultimate Springwood corporate address Exceptional location with access to M1, Gateway and Logan Motorways Ground floor retail space from 50sqm to 75sqm Commercial office space from 50sqm to 1,500sqm Flexible lease terms and competitive rentals 0 Star NABERS energy rating Under new ownership! Speak with Exclusive Agents today Springwood is located approximately 21kms from Brisbane CBD and provides easy access to the M1/Pacific Highway in both north and south directions. Springwood is a significant activity centre in the region, with a major bus station that provides ample parking for commuters nearby. 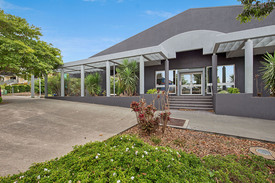 Located within the Springwood business district and serviced by the Pacific Highway this area provides easy access to both north and south via the Logan and Gateway motorways. 1 012 SQM of superb open plan ground floor space Customise and create your own unique space Offering flexible multi options as a Commercial Office, Retail Shop, Retail/Office Showroom or Warehouse Option to split the space into two/three tenancies The site offers abundant parking for staff and customers alike Excellent signage opportunities in multiple locations Sought after ground floor location with multiple entrances Potential to split space into smaller tenancies Close to public transport and major shopping centres Just minutes to the Pacific Highway and major arterial roads Outgoings included in rental Approximate If Applicable. For more information or to book an inspection please contact Tony Morena. Lease this vacancy with the current configuration, or make the changes to suit your business. 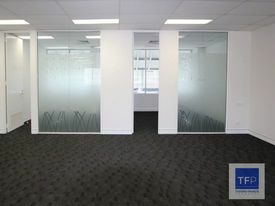 Tenancy features include: Stylish Finishes Spacious Reception Waiting area 3 Individual Offices Storage/Stationery Room Open Plan Work Space Kitchen area Separate server room Take advantage of our signage opportunities, generous customer & staff parking, and the convenient location in Springwood's business precinct. Available now so book your inspection with BNG today! 330-660m2 Retail - Office Options Net Rental $89,000 - $170.. 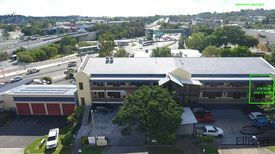 Located in Springwood's business precinct is a well presented ground floor 71 SQM multi use commercial or retail tenancy. Options to take neighbouring tenancy creating 141 SQM or all three with a combined area of 215 SQM . The property has great exposure, excellent signage opportunities and generous customer and staff parking. Tenancy features includes: Dual entrances Glass shop frontage with good natural light Ducted air conditioning Newly carpeted and freshly painted Tenancy provided in an open plan layout, ready for you to create your own office Outgoings included in rental Great property owner/managers offering flexible leasing options, who really take care of their buildings Enquire today! Approximate If Applicable For more information please contact Tony Morena. 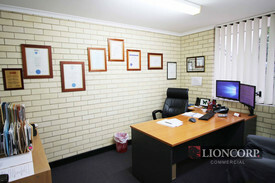 Quality tenancy in the heart of Springwood! 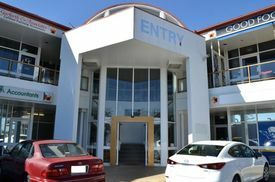 Located in Springwood's business precinct is a well presented ground floor 70 SQM multi use commercial or retail tenancy. Option to take neighbouring tenancy creating 141 SQM or all three tenancies with a combined area of 215 SQM . 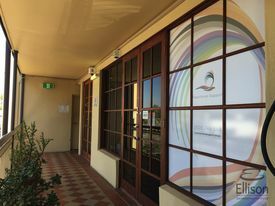 The property has great exposure, excellent signage opportunities and generous customer and staff parking. Tenancy features include: Dual entrances Glass shop frontage with good natural light Ducted air conditioning Newly carpeted and freshly painted Tenancy provided in an open plan layout, ready for you to create your own new office Outgoings included in rental Great property owners/managers offering flexible leasing options, who really take care of their buildings Enquire today!!!! Approximate If Applicable Available Now! For more information please contact Tony Morena. 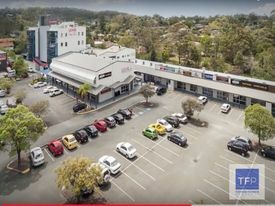 Area up to 395m2 full floor available Modern & appealing design Positioned in main retail Springwood precinct Fully open plan with aircon & kitchenette Good natural lighting throughout Allocated under cover parking onsite Onsite proposed cafe available to lease Short walk to Coles, Woolworths & business amenities Direct straight to Pacific Highway, 15 minutes to Brisbane's CBD Springwood is located approximately 21kms from Brisbane CBD and provides easy access to the M1/ Pacific Highway in both north and south directions. Springwood is a significant activity centre in the region, with a major bus station that provides ample parking for commuters nearby. 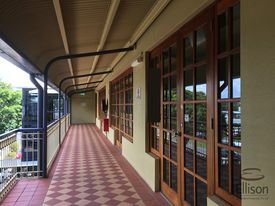 Springwood is located approximately 21kms from Brisbane CBD and provides easy access to the M1/ Pacific Highway in both north and south directions. Springwood is a significant activity centre in the region, with a major bus station that provides ample parking for commuters nearby. The property has great exposure, excellent signage opportunities and generous customer and staff parking. Tenancy features include: Dual entrances Glass shop frontage with good natural light Ducted air conditioning Newly carpeted and freshly painted Tenancy provided in an open plan layout, ready for you to create your own new office Offering flexible leasing options, Enquire today!!!! 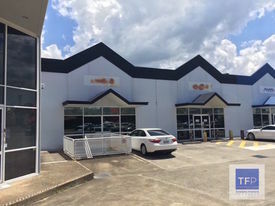 Located in Springwood's business precinct is a well presented ground floor 74sqm multi use commercial or retail tenancy. The property has great exposure, excellent signage opportunities and generous customer and staff parking. Tenancy features include: Dual entrances Glass shop frontage with good natural light Ducted air conditioning Freshly painted Tenancy provided in an open plan layout, ready for you to create your own new office Offering flexible leasing options, Enquire today!!! !